Get exclusive invitations to special events. Our in-store Style Advisors can help you find the perfect look for everyday or special occasions. Set up an appointment any time. Watch for invitations to unique opportunities where you can earn bonus points for connecting with us online or visiting us in-store. Bring your friends to earn bonus points for you and them! 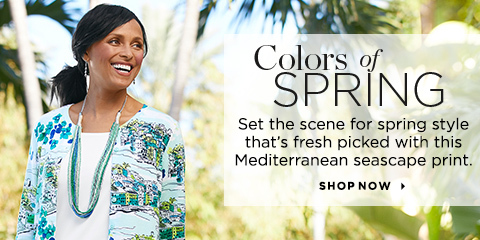 Invite your friends and we'll help you throw a fabulous style party in our store. Members of the military, teachers and seniors (55-plus) get 10% off certain in-store purchases. Shop online anytime at christopherandbanks.com or in store to start earning points. Remember, all members qualify for FREE standard shipping on any online order in the 48 contigious United States. No minimum purchase required! Simply sign in to your Friendship® Rewards account online. Save money on future purchases by earning $10 reward certificates for every 2500 points! View and print certificates online anytime. Save time by managing your account online at christopherandbanks.com where you can check your credit card balance, pay your bill and sign up for paperless statements. As a Friendship® Rewards Member, earn points on every purchase, in-store and online. Use the Christopher & Banks credit card to earn points even faster! Check your points and rewards online anytime. Watch for invitations to earn points in other ways. Subject to credit approval. 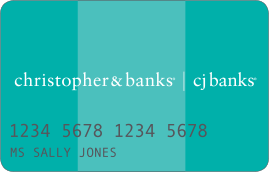 Comenity Bank issues the Christopher & Banks credit card. 1 Open and use your Christopher & Banks credit card to save 15%. Discount cannot be applied to prior purchases. 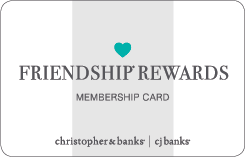 2 The Friendship® Rewards Program is provided by Christopher & Banks, and its terms may change at any time. Please see www.christopherandbanks.com/FRterms for full program terms and conditions. 3See Friendship® Rewards Terms for full details. Only new members eligible. 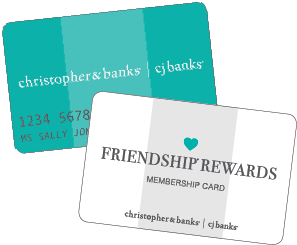 4250 bonus enrollment points awarded for enrollment in Friendship® Rewards; an additional 250 enrollment points awarded with your Christopher & Banks credit card approval. 5Free standard shipping available in the 48 contiguous United States. 615% bonus coupon good after receiving and using your Christopher & Banks credit card. Credit use required to receive 15% discount. 7Subject to credit approval. Comenity Bank issues the Christopher & Banks credit card. , based on Prime Rate. Minimum interest charge is $2.00 per credit plan.